Hyperbaric oxygen treatment has been evolving since the 1940s. Today, hyperbaric oxygen is administered topically, which means directly on those lines and creases on your face to accelerate the production of collagen. It is administered through technology that looks like an airbrush in the hands of a facialist. Clearly, the reason why so many celebrities rely on the Oxygen Facial to keep their faces smooth and firm is because the O2 Intraceutical Treatment works. For example, Madonna told Harper’s Bazaar that she has become so fond of her Oxygen Facials that she keeps an oxygen machine in each of her homes. While only the very wealthy can afford the luxury of a “house call,” you will be able to secure an initial series of at least 6 weekly treatments followed by monthly and then yearly touch-ups. The O2 Intraceuticals Hyperbaric Facial is part of a trend that shows cosmetic surgery procedures decreasing and non-invasive treatments increasing over the next 10 years. 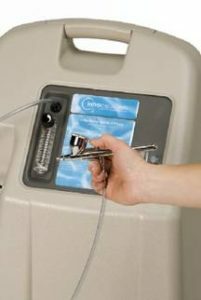 The O2 Intraceutical System delivers a potent combo of oxygen and hyaluronic acid that has the lowest molecular weight available on the market. A lower molecular weight means that the serum is easily absorbed through the skin pores and directly into the tissue. The more oxygen and serum absorbed, the better the facial. In fact, after the actual facial is over, moisture molecules continuously bond to the tissues, plumping up the skin for days after the treatment. 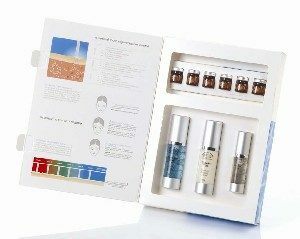 Unlike many facials, where you can expect a myriad of uncomfortable processes including: extractions, exfoliations and cosmetic peeling solutions that may burn, the Oxygen Facial is a luxuriously soothing process wherein cool streams of oxygen and serum are sprayed gently onto your face. The results are instant. Within seconds of the application you will see a visible plumping of the skin. Let the Oxygen Facial be the crowning jewel of your new beauty regime, alone or in combination with other beneficial treatments and watch the years literally melt away without pain or discomfort.